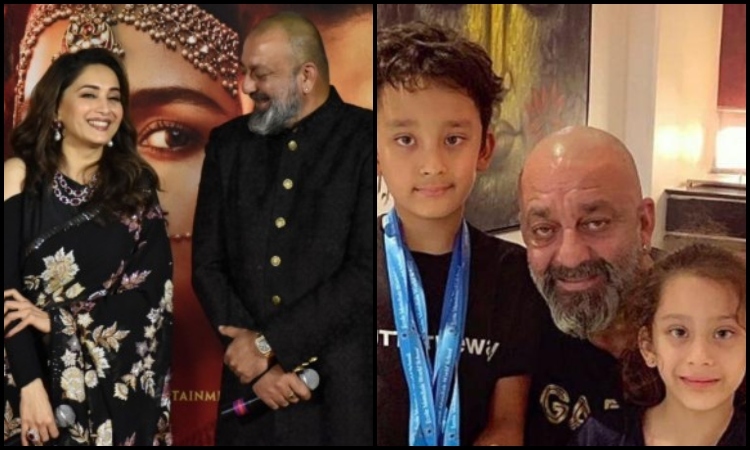 This year Bollywood actor Sanjay Dutt and Madhuri Dixit are all set to collaborate for their upcoming film Kalank. The duo is back again after 20 long years and the two made their appearance together in Khatron Ke Khiladi. Since then, the audience has been loving them and we are equally excited to see them together. Madhuri-Sanjay will be seen sharing screen space with Varun Dhawan, Aditya Roy Kapur, Alia Bhatt and Sonakshi Sinha. The two have grabbed eyeballs with their first public appearance together for the teaser launch of Kalank. The two admitted pulling each others legs but, the 59-year-old actor got 'a little nervous' while shooting with Madhuri Dixit after 22 years. Sanjay Dutt added that the two bonded over their kids. In fact, he made his two children (Shahraan and Iqra Dutt) meet Madhuri Dixit on the film sets. During a media interaction, Sanjay revealed his experience working with Madhuri after two decades. He said, "It was great to work with her again. I was a little nervous, but she made things easy. She's got terrific command as an actor. We spoke about our kids. In fact, I made my children (Shahraan and Iqra) meet her when they dropped by on the sets." Sanjay Dutt and Madhuri Dixit were rumoured to be dating back in the early 90s. But a lot has changed since then. Madhuri Dixit is married to Dr. Shriram Nene and has two sons. Sanjay, on the other hand, got hitched to Maanayata Dutt and has twins - Shahraan Dutt and Iqra Dutt. The film is set to hit the big screens on April 17.